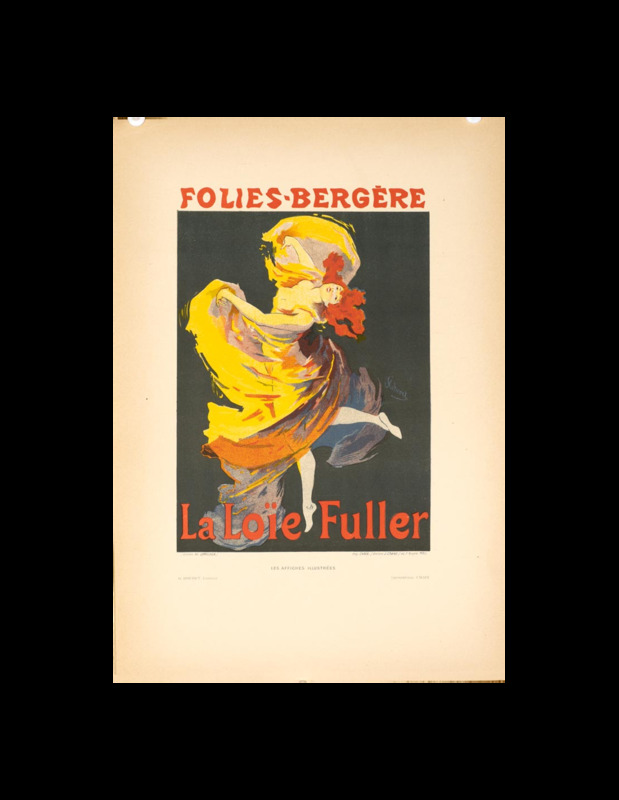 Folies Bergere poster for Les Affiches Illustrees were plates printed at the Chaix Imprimerie in 1896 that featured the most famous artist of the day. Cheret was a master printer and artist, but also inventor and created the first lithographs in Stone. This enabled him to make several passes of colors using a stone for each color. This typeof printing method would be too expensive today, but it is the most artistic way of printing. The plate is in excellent condition. 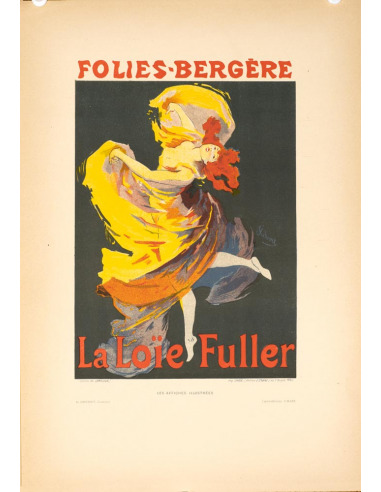 Loie Fuller was an American dancer who attained fame in Paris at the turn of the century with her danses which featured special colored lighting to enhance the spectacle.